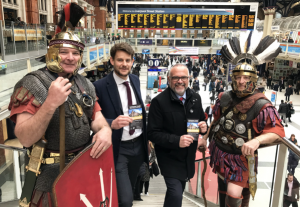 Users of Liverpool Street Station today have been greeted by Roman soldiers promoting Colchester as a tourism destination. 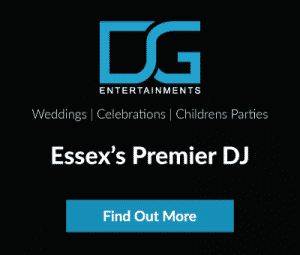 The event organised by Visit Colchester is running from 7am – 7pm tonight and is anchored by a pop-up Visitor Information Centre on the main Liverpool Street concourse. Throughout the day, Visit Colchester and partners have been greeting members of the public, offering giveaways and promoting the Borough of Colchester as a tourism destination. Cllr Tim Young, Deputy Leader of Colchester Borough Council and Portfolio Holder for Business and Culture, who is attending the event, said: “The event is proving extremely popular and we have spoken to a great number of people about Colchester and the wider Beautiful Borough’s fantastic tourism offering.